Dracos Linux Forums is official forum for Dracos Linux. 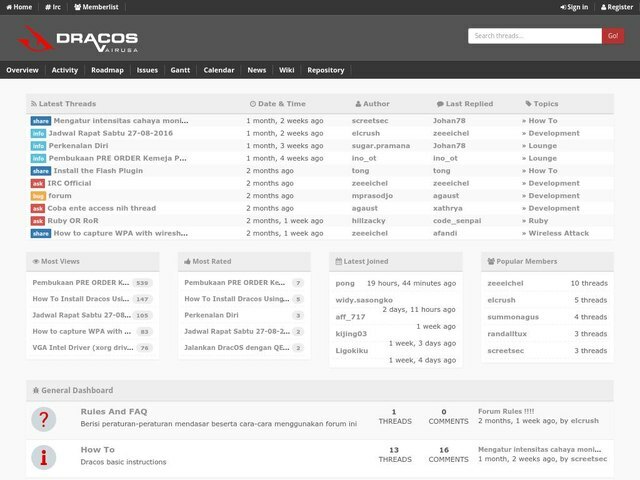 Dracos Linux is an open source operating system provides to penetration testing. Packed with a ton of pentest tools such as information gathering, forensics, malware analysis, mantaining access, and reverse engineering.